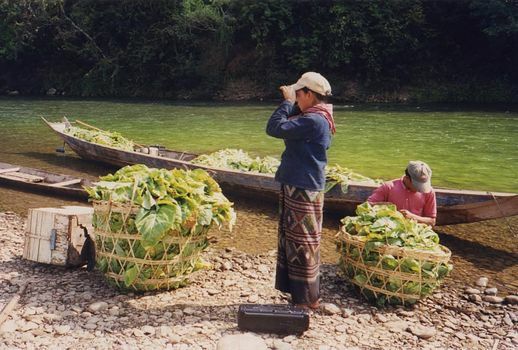 We look here at an assortment: first the Tham Ting Buddha caves upstream from Luang Prabang; then at local horticutlure; then at Henri Mouhot's grave. 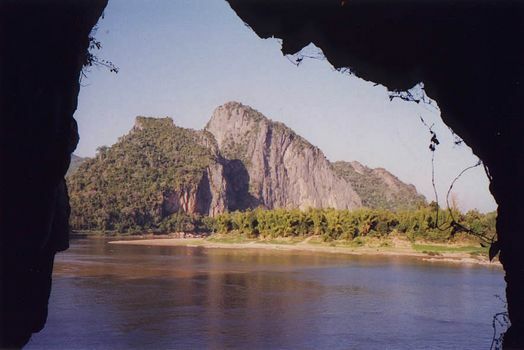 The Tham Ting Buddha caves are set into a cliff around which the Mekong curves some 15 miles upstream from Luang Prabang. 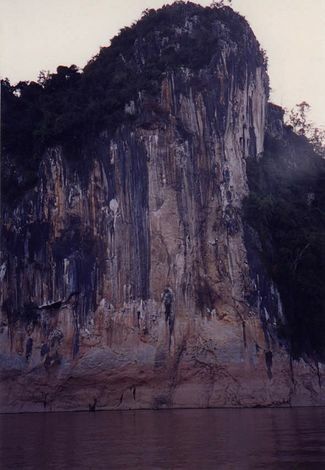 Looking out from one of the caves. 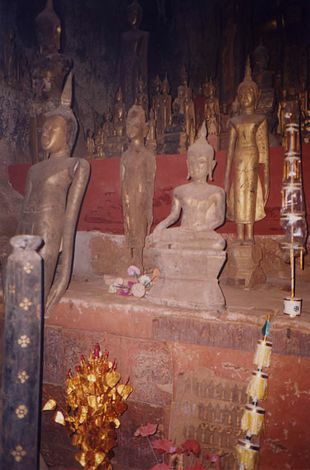 Thousands of such figurines fill the caves, dark except for the camera flash. 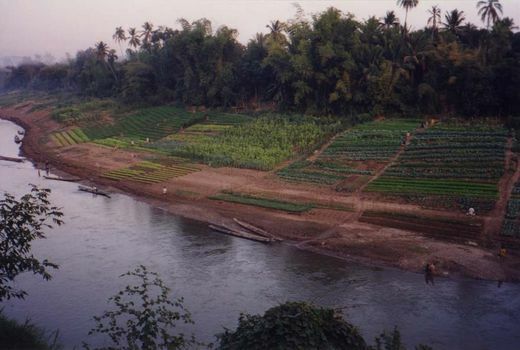 There's an agricultural-research station near the Mekong at the south end of town. 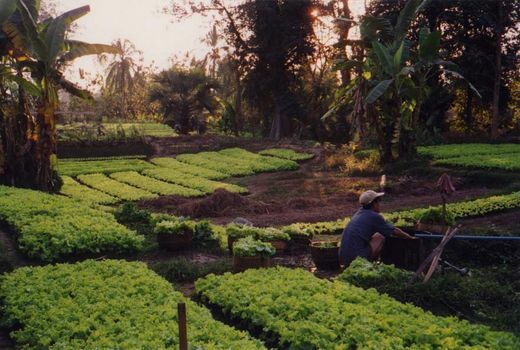 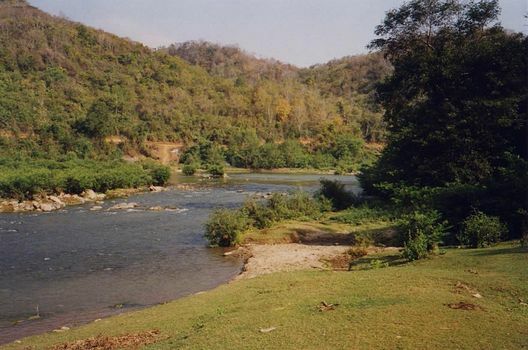 The tributary Nam Khan also supports intensive gardening along its moist banks. 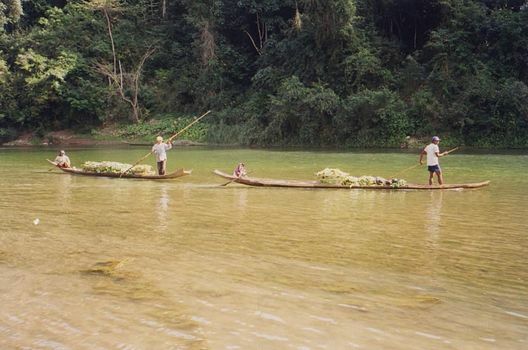 Some miles up the Nam Khan, at Ban Aen, villagers prepare to bring vegetables to market. 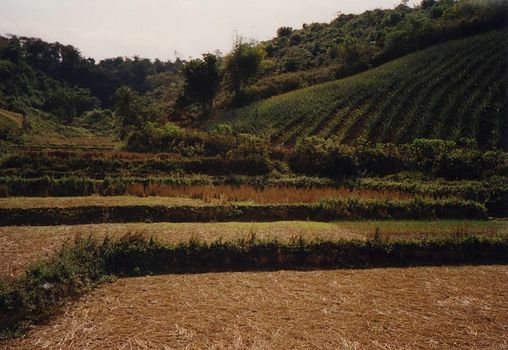 Farther back in the countryside, rice paddies in the dry season. 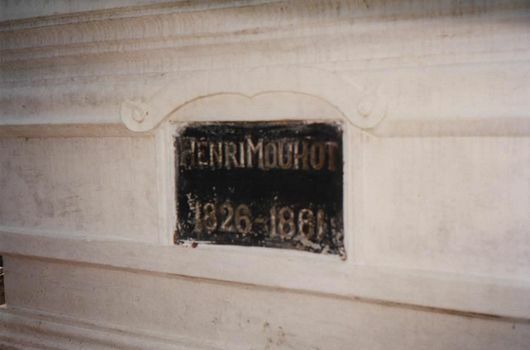 We're in the same neighborhood, and we're looking for the grave of Henri Mouhot, who put Angkor Wat on the map for Europeans. 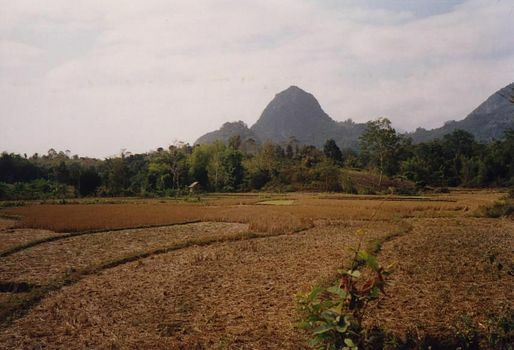 He later came up here, where malaria took him. 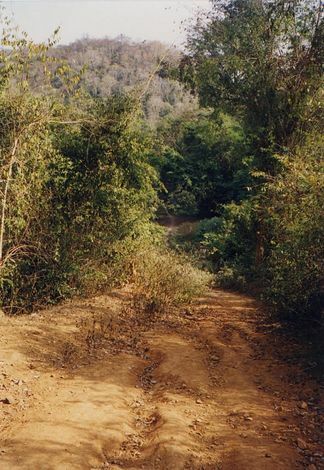 His grave is somewhere around here. 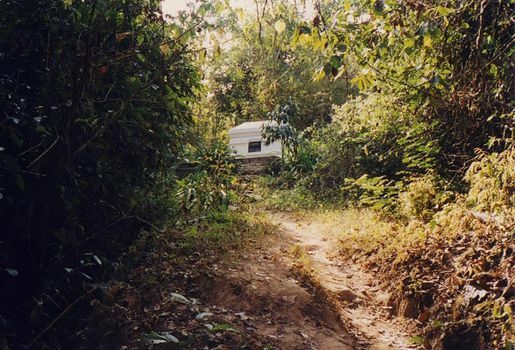 Finding the tomb is no longer a challenge. 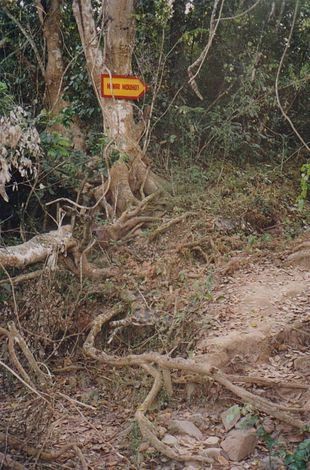 Just follow the distinctive signs. 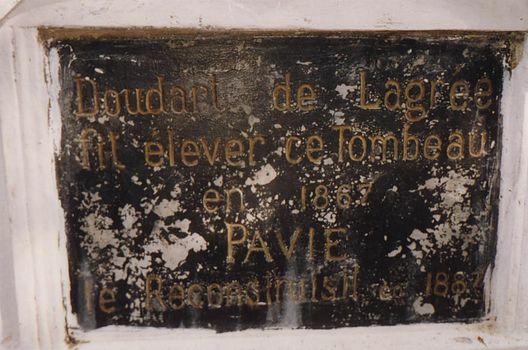 A tomb was erected by Ernest Doudart de Legree, a naval officer leading an expedition a few years later; the tomb was rebuilt in the next generation by Auguste Pavie, the French administrator largely responsible for establishing French rule over Laos. 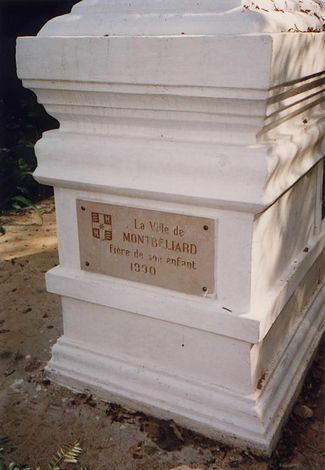 Mouhat's proud hometown has added its own memorial to its son.